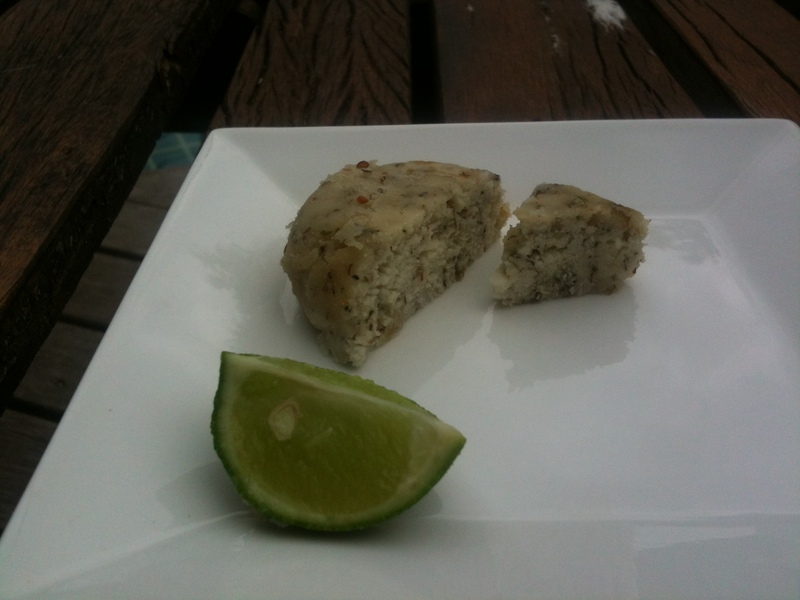 This one is made with macadamia nuts, probiotics and some herbs. 2) Rinse and change the water, then put the nuts in a blender and add water, (slowly!) and blend until you get a paste, should be a bit liquid but not too much, like a cream. 3) Add the probiotics, for 2 cups of nuts I put normally one or two capsules or one sachet or half a teaspoon, make you experiments because it depends on so many things like the quality of the probiotics etc. 7) Transfer the paste (now it should definitely be more like a paste than a cream) in a bowl and add pink salt or seasalt to the taste, you can also add some herbs like tyme, coriander, cayenne pepper, basil etc. and lime or lemon juice now. I suggest to make different small batches to have different tastes, specially in the beginning. 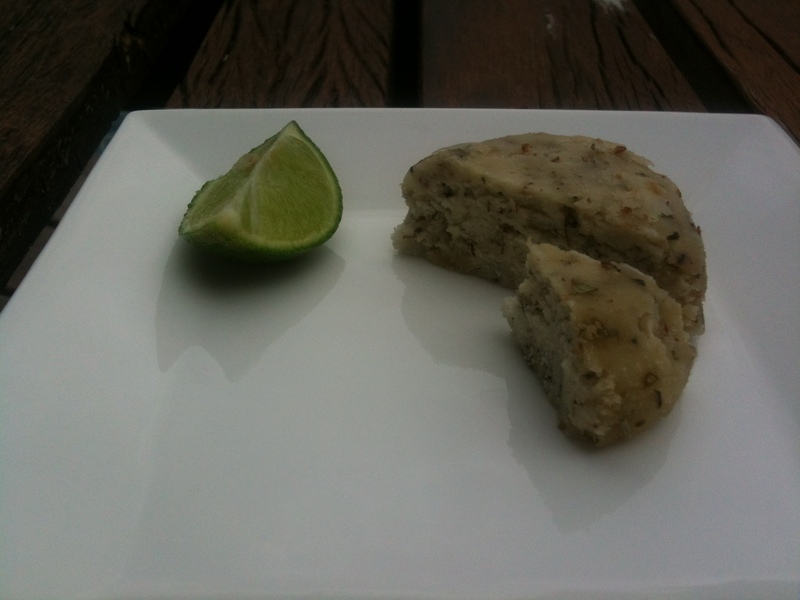 9) Let it rest in the fridge and after 2 or 3 days you should get a firm texture. 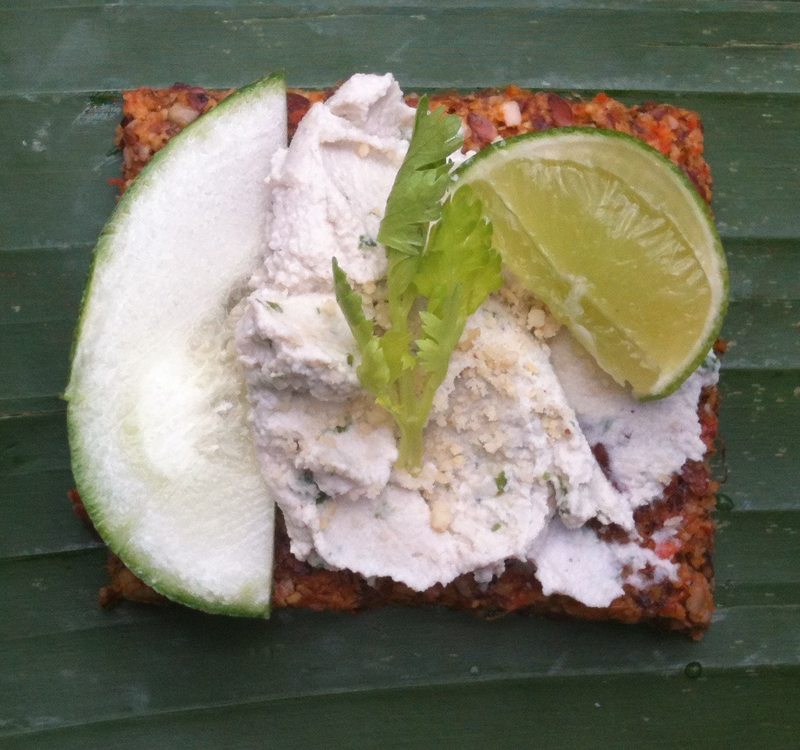 Macadamia cheese on a flax “pizza” cracker with lime, cucumber and cilantro, yummy!